The following is a how-to guide on turning your domain name into a brand, getting you more website views and more customers. This guide outlines all the steps required to turn your domain into a brand. When creating a brand, there are many tools that you can use to your advantage. One of those tools is your website’s domain. Your domain is the best representation of your business and what you can offer to potential clients. Your domain name is your first impression that you give to people. If you want to capture their attention, it needs to stand-out and make them want to click on your website. But, it also needs to be simple. When choosing a domain name, you need to remember to keep it something that someone can remember at the drop of a hat. Some ways to make a catchy domain name is to use words that other companies aren’t using. For example, there were no websites that had Google in their domain name. Then, Google.com came along and everyone knows what it is just based on their name. Furthermore, it’s best to keep domain names short. You’re more likely to remember Hats4U.com than HatsCreatedByPhil.com. Keeping it short makes it easier for people to remember. Also, longer links can sometimes look less professional than shorter ones. Once you’ve decided on your domain name, it’s time to create a website. You can either build it yourself or hire professionals to build it. The most important thing is making your website as SEO-friendly as possible. Maximizing your SEO can make it easier for people to find you on search engines. One way to maximize your SEO possibilities is to put your website everywhere on the internet. If you use social media, put links to your website in your bios. Whenever you make a new post, make sure to also include a link to your website. When creating your website, make sure to make use of monitor-friendly and phone-friendly formats. 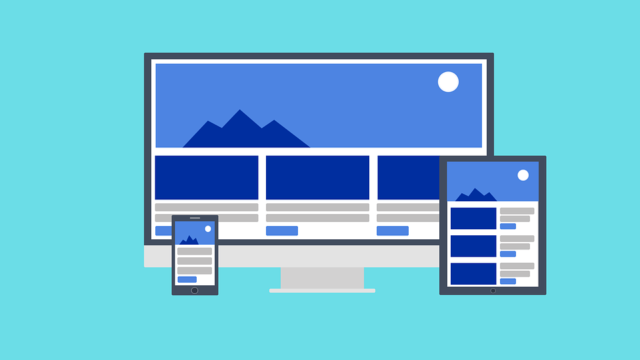 This means that your website looks nice and is usable on both a computer screen and on a smartphone. Look at your competitor’s websites to get a sense of how other businesses are building their websites. Then, do the opposite of them. When consumers are looking around, they’ll notice that you stand out from the other websites. Once you’ve created your website using a unique domain name, don’t stress if your views are initially low. If you’ve built your domain into a brand, you don’t need to worry. Your website will start showing up in web searches and on social media. If you’ve kept your domain name short and sweet, people will remember it and views will go up based on word-of-mouth. When you’re brainstorming ideas for your brand name, be sure to check out professional brand builders — you may find the perfect brand name right off the bat! Remember that Rome wasn’t built in a day, but is one of the most popular and beautiful cities nowadays. The same goes with your website. It will take a lot of time and hard work, but the rewards will be worth it. Carolyn Clarke is a serial entrepreneur turned business consultant who’s spent the past decade helping new businesses move from startups to fully-fledged operations with help from businesses like BrandBucket. When she’s not in her startup sandbox, she takes her dog running along the Malibu coastline.